Save your employees time by integrating Egencia and Expensify! 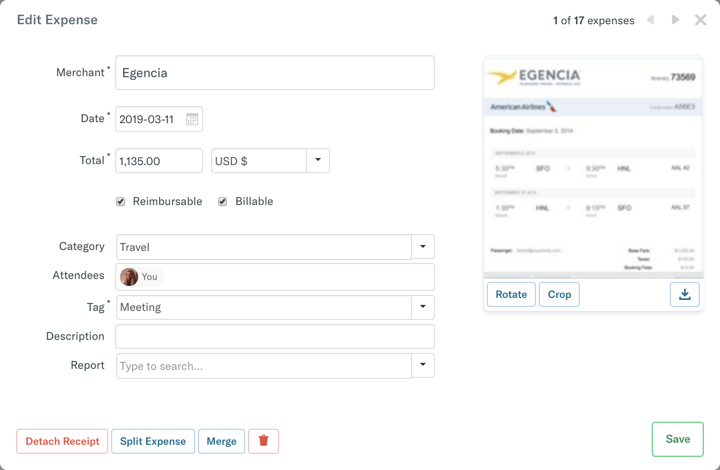 To enable the integration, simply reach out to your Egencia account manager and request that they enable your Expensify feed for your Expensify account. If the credit card that the traveler used to purchase their travel via Egencia is connected to their Expensify account, this receipt will automatically merge with the credit card transaction. The travel information will also be available in the Trips section of the mobile app of the recipient's Expensify account. Reach out to concierge@expensify.com letting us know the Expensify account you want all Egencia receipts sent to. Note that this will require a Control policy with Domain Control, so make sure to have these set up before reaching out. This option is helpful for reconciliation purposes if there is only one corporate card purchasing travel.